In the far off olden days, before on-demand TV, boxed sets, Netflix and hundreds of freeview channels, families would often go to the theatre for entertainment. Of course, the cinema was also popular, but live theatre attracted huge audiences and thriving amateur theatrical societies were to be found in most small towns. Today, many of those societies have disappeared or are struggling to survive. Audiences have shrunk, members (especially men) are harder to recruit, and production costs have gone through the roof. This last issue, the cost of putting on a show, is a critical one, as smaller audiences mean lower ticket sales and reduced income. The danger is that eventually ticket sales don’t cover the costs, and the society is forced to cut back on performances, which makes it even harder to find new members. It’s a spiral that many never recover from. In Spring 2017, AOS staged the musical Annie for six performances, running Tuesday to Saturday evening, with an additional matinee performance on Saturday afternoon. The rights to stage the show for those six performances, plus the hire of the theatre, cost us £12,500. At an average audience ticket price of £14.50, this means that we needed to sell over 850 tickets just to cover those initial costs. Hire of the musical scores cost over £1,000, while costumes, lighting, sound and scenery cost another £7,000. 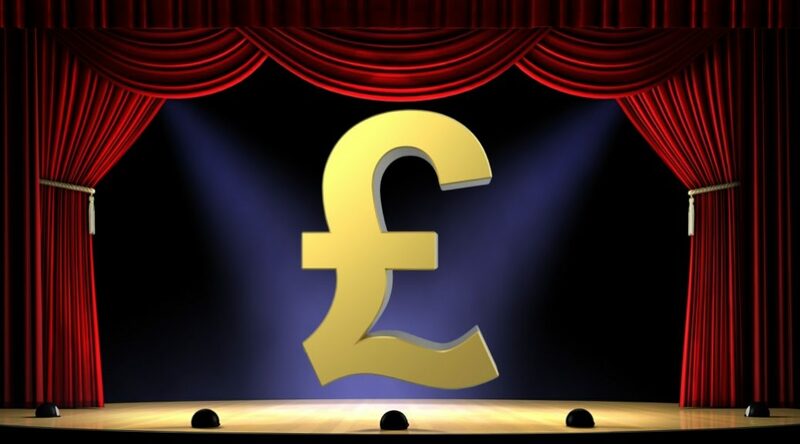 In total, and after being extremely careful with every penny spent, Annie cost just under £28,000 to stage. This means that we needed to sell over 1,900 tickets just to break even on the show. That’s a tall order for a small market town in rural England in the twenty-first century. If every performance was completely sold out, our seating capacity of over 2,500 for the week would mean we’d be in profit for the show, but that’s very hard to achieve these days. This means that any loss on a show has to be borne by the members, which means increasing the show fees we have to charge the cast, and that makes it harder to recruit the new members we need. This is the tightrope we walk today – trying to manage costs, while filling the theatre, and attracting new members. And we do this for two major shows each year. It can be stressful, to say the least, and it’s only something we do as a hobby, so it’s a good thing that we love musical theatre enough to keep balancing along that tightrope for year after year, determined to keep musical theatre alive in Abingdon. Just don’t look down! What’s new, Buenos Aires? Evita is coming 22 – 26 October 2019! Member’s Q&A – why is Kate Brock hoping to one day defy gravity? Top 5 audition tips to help you get that part! Member’s Q&A – so what has been John Wilkes’ favourite role?